‘Tis the season for eggnog, fruitcake, and driving around Miami to view the incredible holiday light displays. Yet, if you plan to drive to explore the festive displays this Christmas season, before you leave home, take some steps to keep yourself safe while driving. The displays can be distracting for the person behind the wheel and no one wants to get into an accident during the holidays. The Miami Herald recently published a list of the most stunning holiday light displays in the city. With the kids off school and many people taking time off, there’s no better time than to head out and get into the spirit by looking at these painstakingly constructed displays. Don’t drink and drive. It goes without saying, but drinking and driving is dangerous and leads to many preventable deaths and injuries each year. According to MADD, over 600 people are killed by drunk drivers every year. 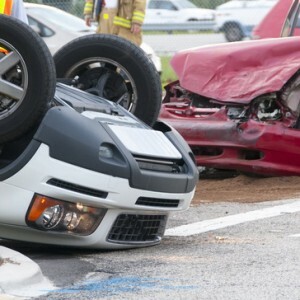 The cost of drunk driving fatalities is about $3.5 billion annually. These numbers don’t factor in the emotional and psychological toll that these accidents exact on victims. Lives and families are shattered by drunk drivers. Prevent a tragedy. Plan your route. Don’t get lost while exploring the city. Map your route so that you’re not tempted to use the GPS application on your phone while driving. Have a family member help you with navigation. If you do get lost, pull over to check your phone for the route. Checking GPS navigation systems is a major contributor to distracted driving. Also, you should plug in the address into your phone before you start driving. Split driving duty. You’ll be tempted to admire the holiday displays as you drive, but taking your eyes off the road even for a few seconds can put you and your family in danger. Instead, decide to split the driving duties amongst other loved ones. Proper planning here is key. Maybe Mom can drive during the first half of the holiday light tour and Dad can take the wheel for the second half. Or, extend the joy and spread your tour over several evenings. Don’t let teens drive. Inexperienced drivers are not as skilled in managing multiple distractions. Teen driving accident rates go up when they have more passengers in the car. If you want to see the holiday lights, split the driving duties among experienced drivers. Hire a cab or Uber. If the temptation to look at the lights is too high, hire someone else to do the driving for you. Pack the family into a van or SUV cab and everyone can get into the spirit. Many holiday displays can be enjoyed on foot. Malls, shopping centers, and other public areas are all decked out for the season. Avoid the dangers of distracted driving by enjoying the lights during a leisurely evening stroll. The holiday season offers many opportunities to share the joy with loved ones and friends. The Wolfson Law Firm, L.L.P. wishes you and your family the brightest holiday season and a happy new year.